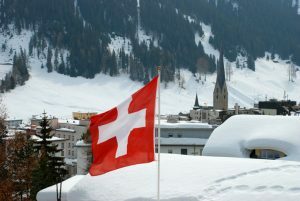 The World Economic Forum meets in Davos, Switzerland, next week, bringing together great minds from around the world. Transportation and mobility are high on the agenda this year and the meeting’s Future of Mobility sessions will include CEOs and executives from Uber, Boeing, Volkswagen, Volvo, and transportation officials from cities around the world. Electric vehicles, building the necessary infrastructure, and how to prioritize what comes first, when, and how. Security in travel and how leaders and stakeholders around the world can collaborate. Hydrogen as a clean fuel source, including the establishment of the Global Hydrogen Economy Alliance. Connected mobility, specifically in India, where huge growth in both population and car ownership have gridlocked cities. The overriding goal for Davos and its mobility meetings is to bring together private and public entities from around the globe for collaboration now and into the future. Read more about it in Forbes.